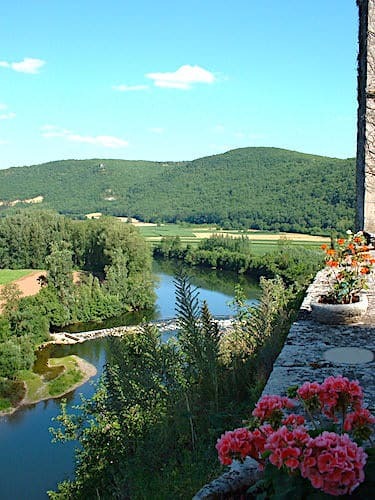 The Chateau de Cenevieres enjoys an exceptional location; high perched on a cliff that falls steeply on the river Lot and its valley, it boasts an unparalleled vista! The story goes that Waiffe, duke of Aquitaine, built the first stronghold on a natural cave where he took refuge during the territorial conflict that opposed him to Pepin the Short. Pepin the Short, the father of the future Emperor Carlus Magnus, eventually seized the stronghold in 767. The lords of La Popie (Saint-Cirq), the owners of Cenevieres in the 11th century, built a surrounding wall to defend the rock shelter. A century later, they sold the castle and its land to the lords of Gourdon. The Gourdon considerably altered and improved the fortress in the 14th and 15th centuries; however, they drastically transformed it during the French Renaissance. It all started in 1524 when Flottard de Gourdon took part to King François I's military campaigns in Italy, where he discovered the Italian Renaissance. On his return he married Marguerite de Cardaillac, baroness of Saint-Cirq. 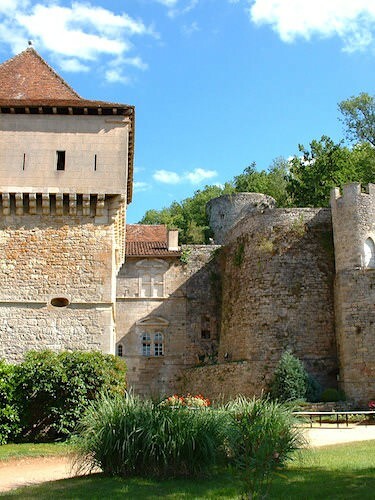 Together, they transformed the austere fortress de Cenevieres into the finest Renaissance castle of Quercy. However, they retained the medieval fortress; they erected the new buildings around the 13th century keep and over the ramparts that overlook the Lot. 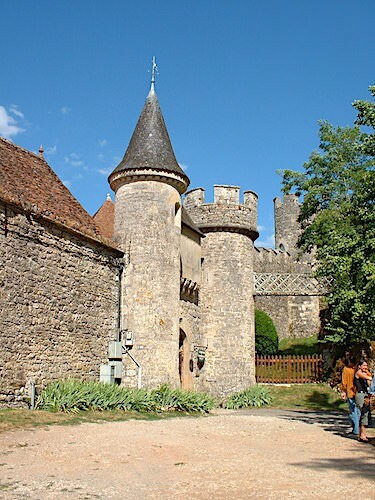 The Chateau de Cenevieres is thus a medieval and Renaissance castle. This eclectic architecture works very well, as round towers, dungeons, ramparts and elegant Renaissance features beautifully blend together. The Braquilanges Family has owned Cenevieres since 1793. 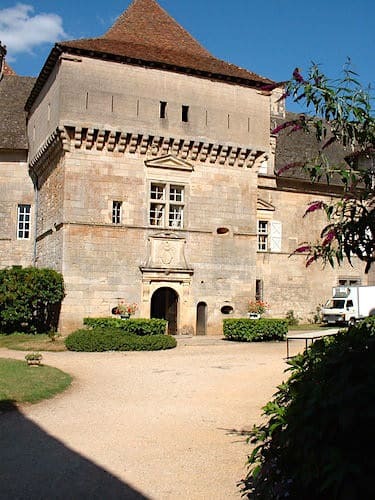 The 16th century square pavilion Poterne or Tour des Gardes is the main entrance to the castle. It leads straight into the elegant inner courtyard delineated by the Renaissance castle and the medieval buildings with their round towers and dungeons. Visitors can visit the seigniorial chapel, the dungeon, guardroom, former kitchens and the frightening oubliettes (dungeon's prison). 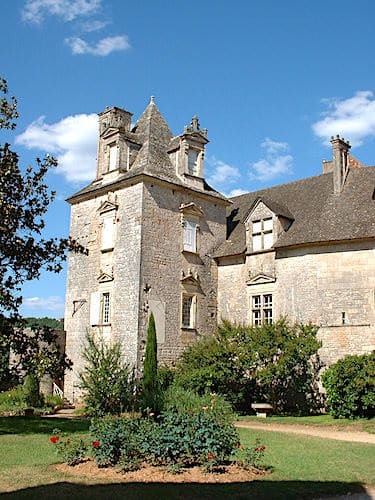 The Chateau of Cenevieres is one of the few Renaissance castles in Quercy, and the finest. The Gourdon altered the medieval castle with Renaissance features; they thus widened the small Gothic openings and pierced the ramparts with dormers. They roofed the building with traditional lauzes (stone slabs); these enhance the facade's Tuscan-style gallery and windows with carved cross mullions. They spared no expense to create the interior lavish decoration and commissioned outstanding murals, frescoes and painted ceilings (Grand Salon, Alchemy Cabinet and bedrooms). Finally, they certainly enjoyed the unparalleled view of the valley from the vast terrace that overlooks the Lot. 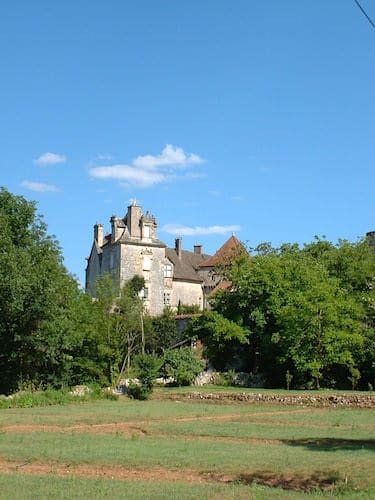 The Chateau de Cenevieres was listed historical monument in 1957. It’s open to the public from April to early November and apparently the Marquis de Braquilanges guides you the discovery of his beautiful castle.